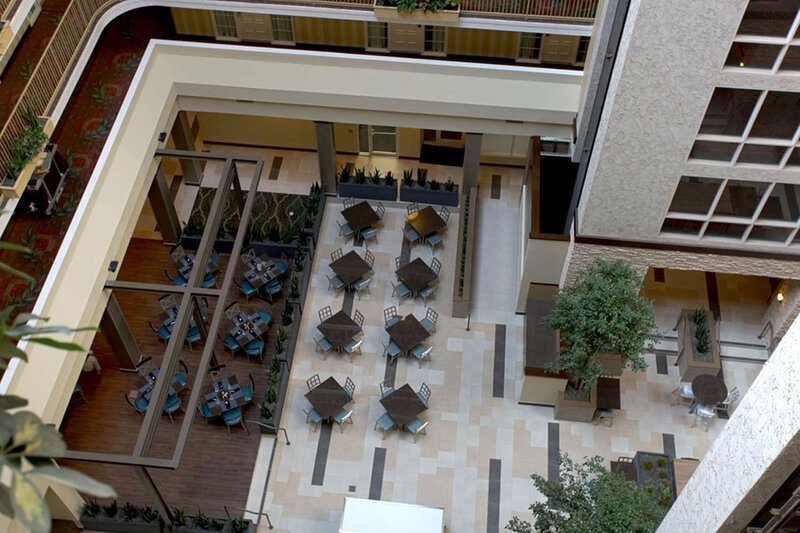 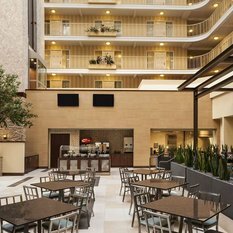 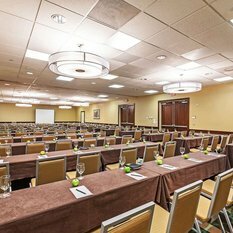 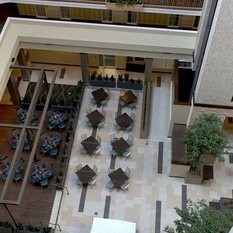 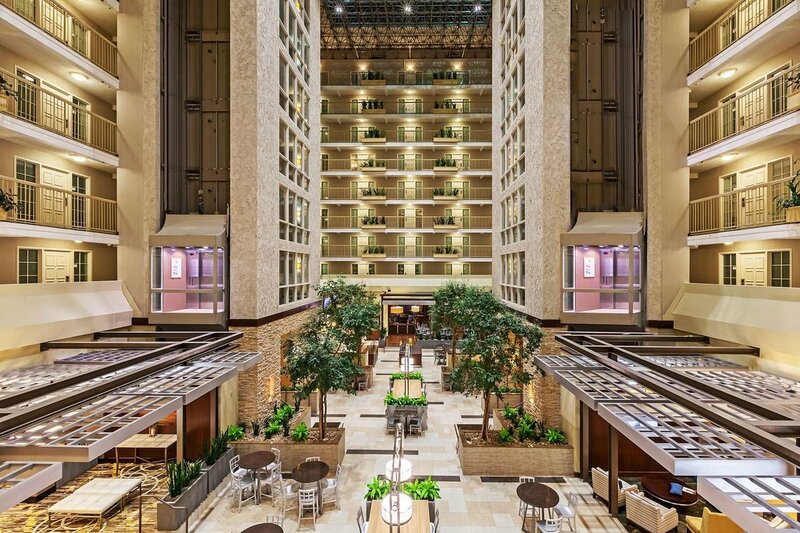 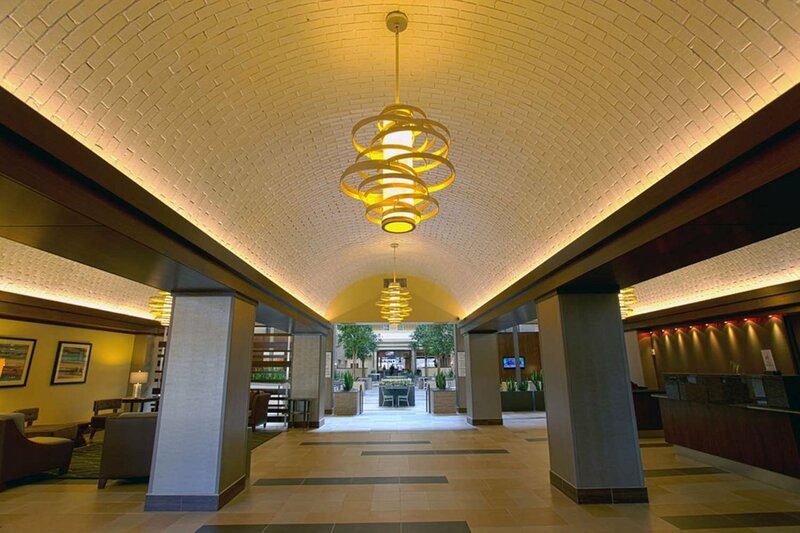 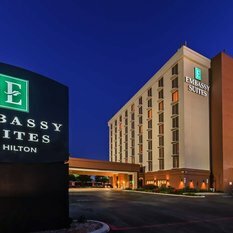 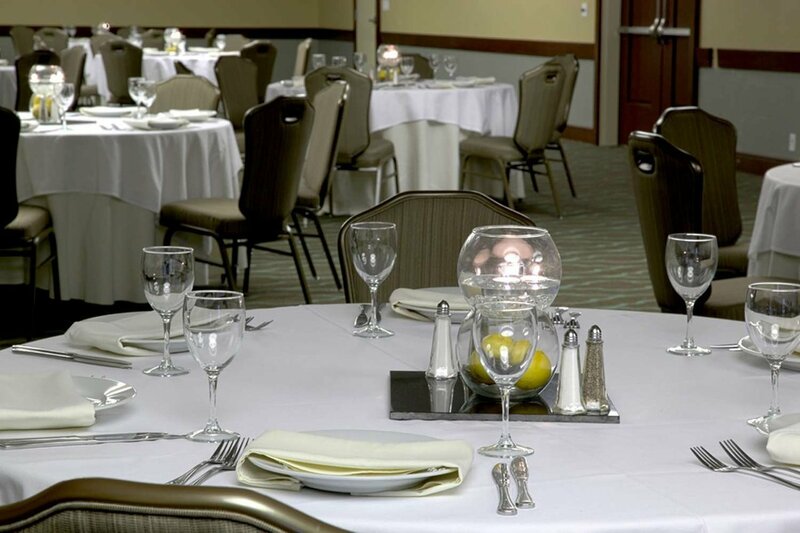 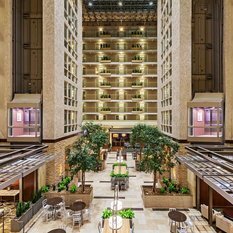 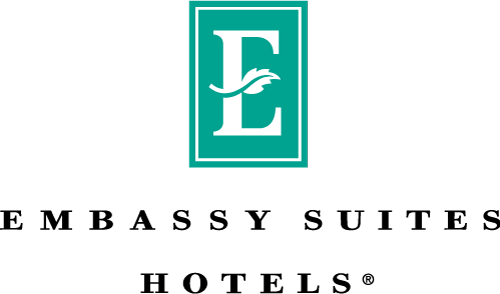 Welcome to the Embassy Suites by Hilton Dallas Market Center hotel. 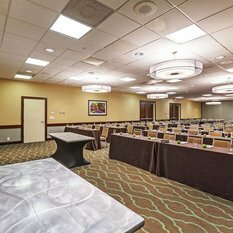 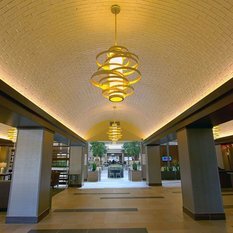 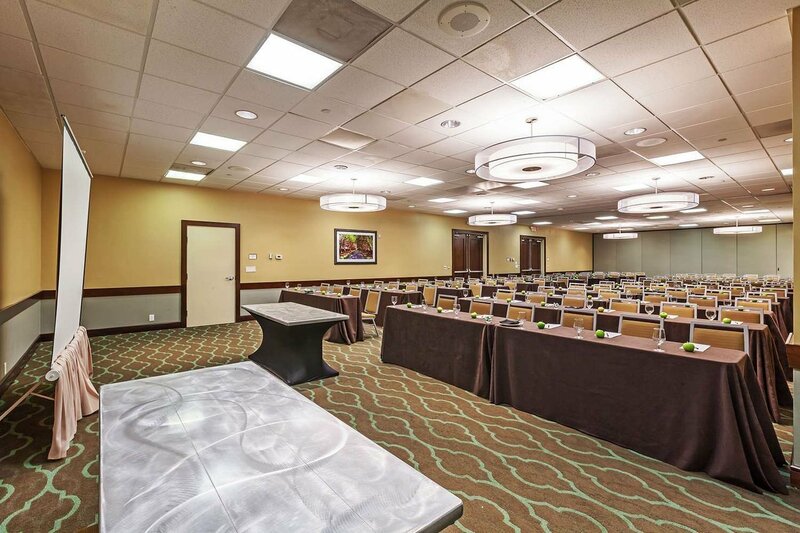 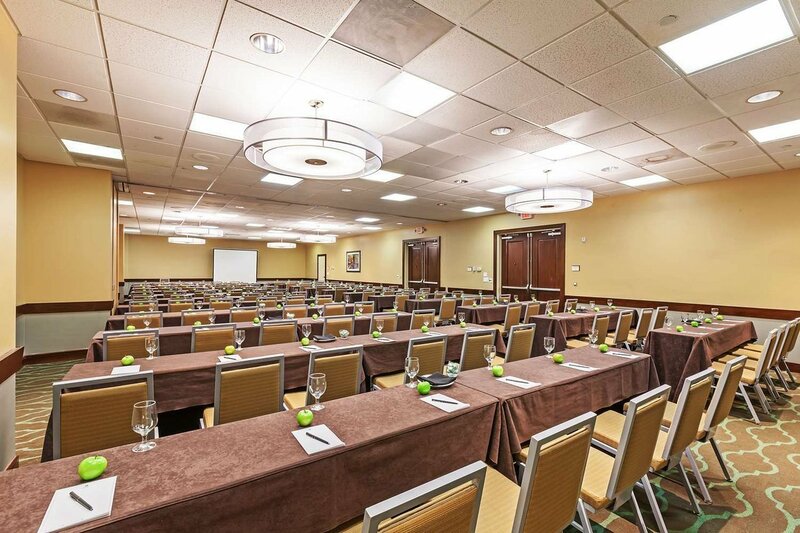 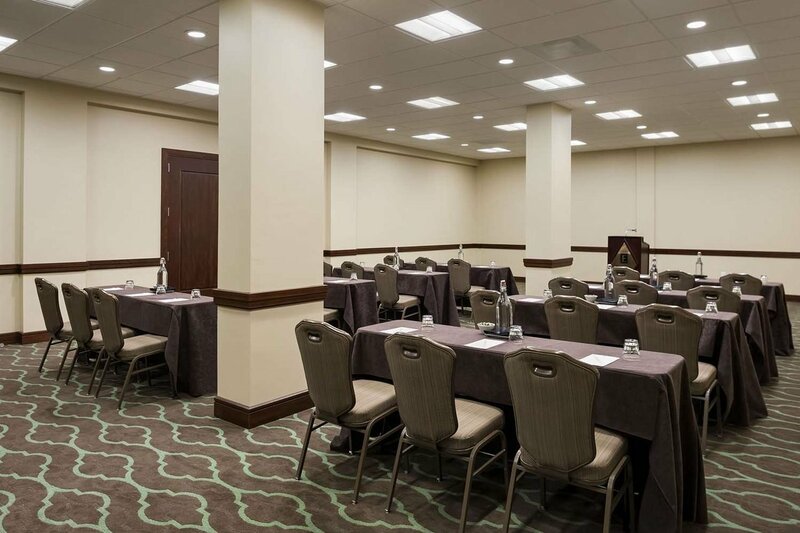 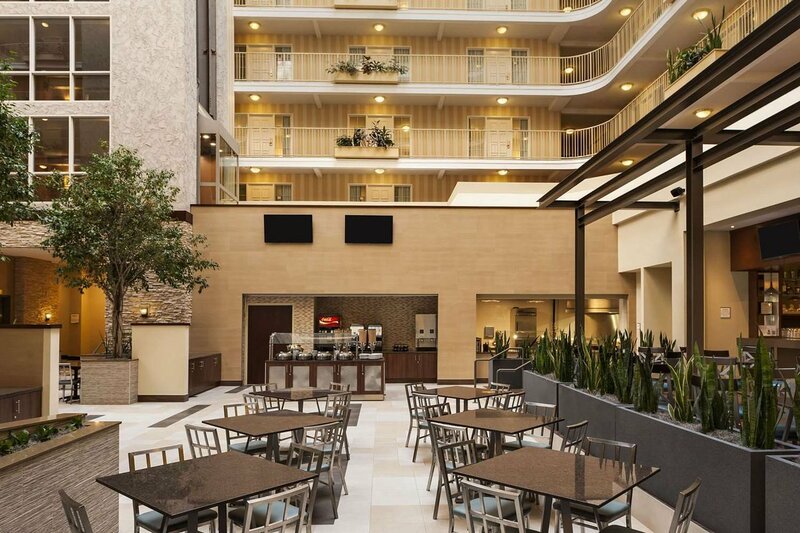 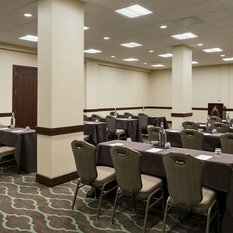 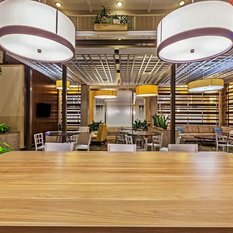 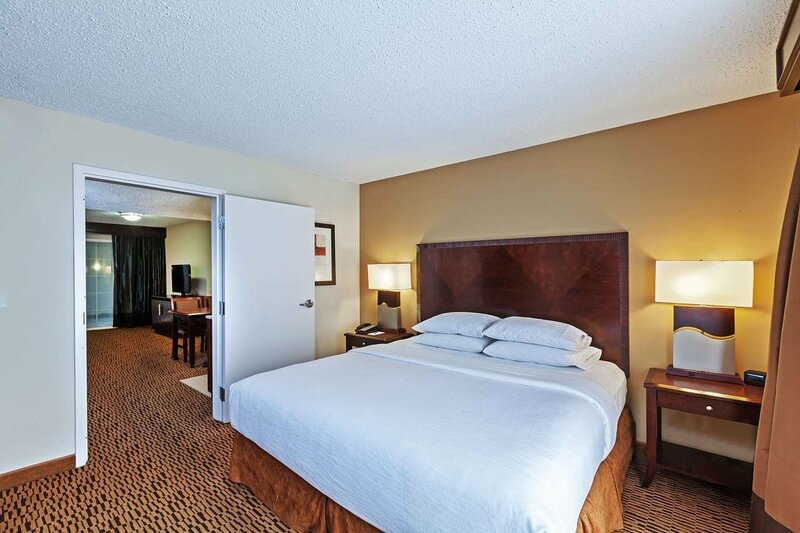 Situated less than one mile north of Dallas Market Center and the World Trade Center, this Dallas hotel is in an ideal location. 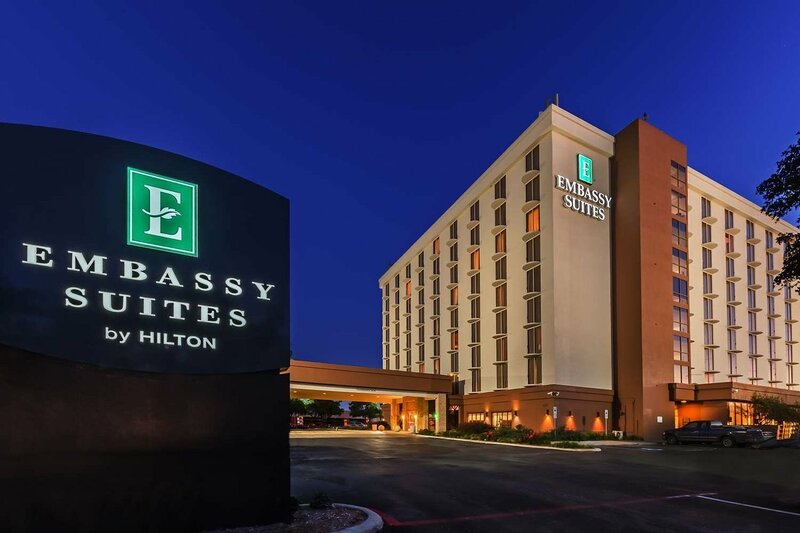 Visit the Dallas Medical District, featuring 13 hospitals, clinics and other world-class medical facilities, just west of the Embassy Suites. 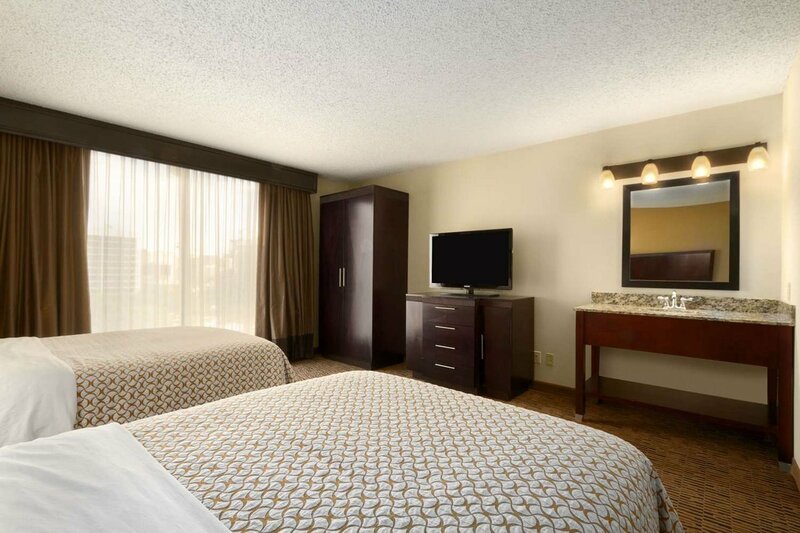 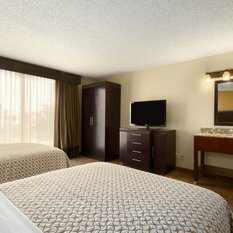 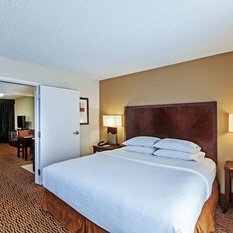 Stay here and enjoy being close to downtown and an array of great attractions. 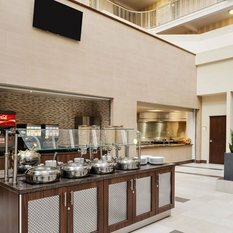 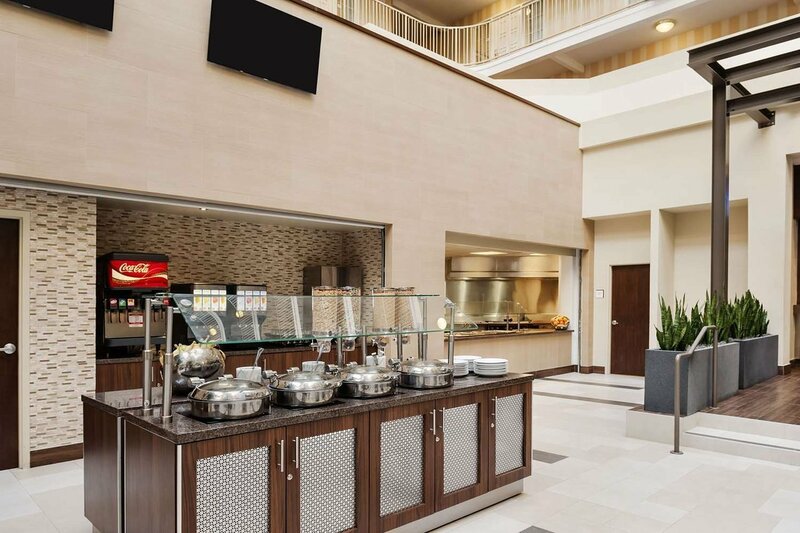 Begin each day with our Embassy Suites® free made-to-order breakfast offering omelets, pancakes and buffet items. 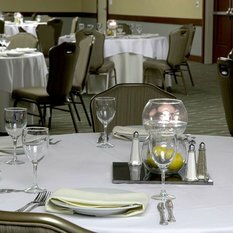 At our nightly Evening Reception, sip complimentary cocktails, drinks and snacks. 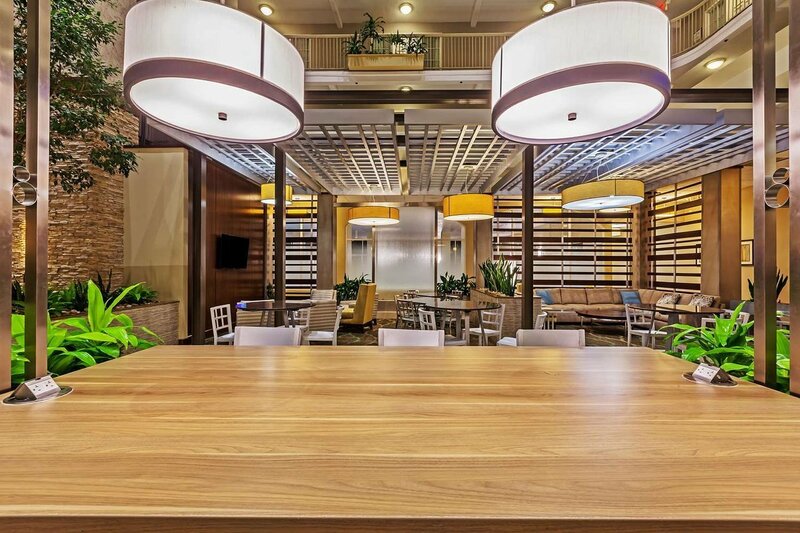 Treat yourself to our selection of draft beers, premium wines, cocktails and unique menu items in the Atrio Restaurant and Bar. 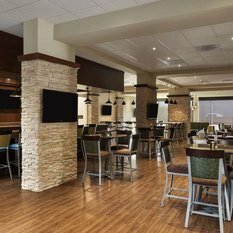 Relax and enjoy sports and other events on TV as our friendly bartenders and collection of eight 55-inch HDTVs welcome you in. 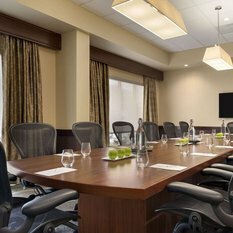 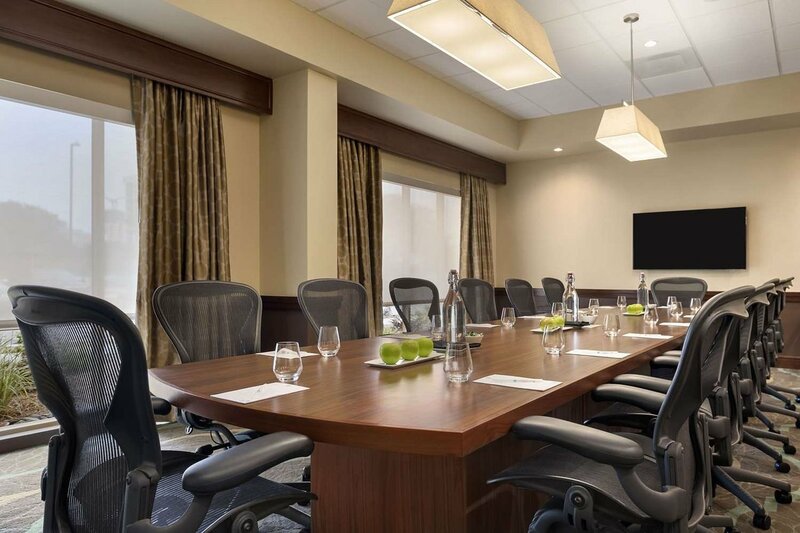 Host meetings and dinner functions in our Magnolia Ballroom with space for up to 300 people, get down to business in our Monarch Executive Boardroom, or celebrate a special occasion in the Atrio private meeting and dining room. 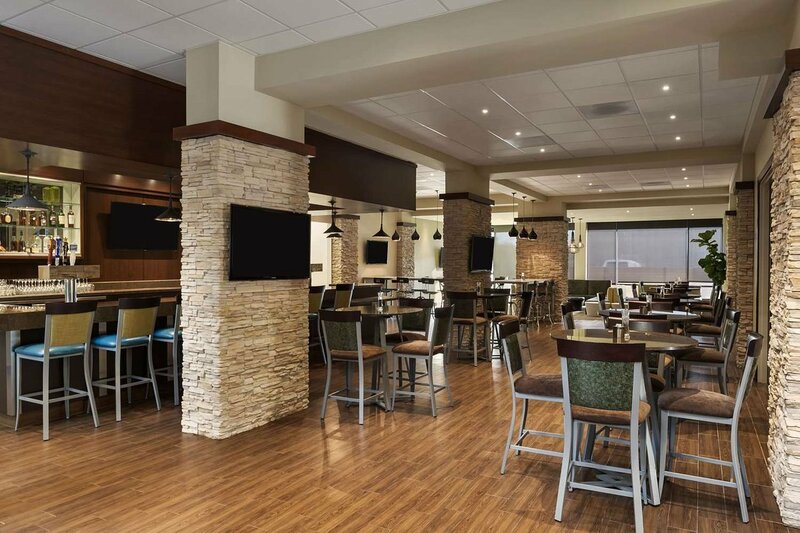 Catch up with work in our BusinessLink™ Business Center, or rejuvenate in our well-equipped 24-hour fitness center. 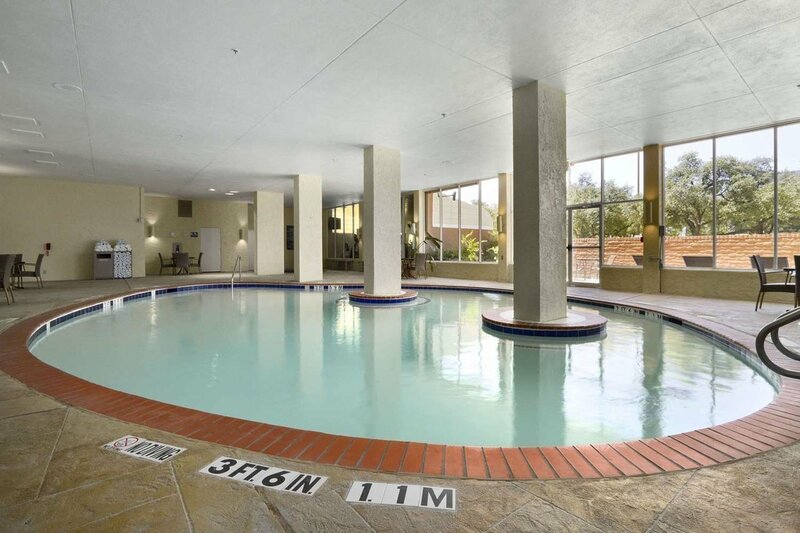 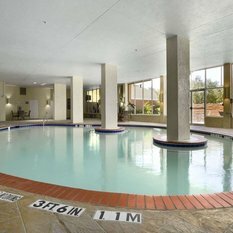 Take a refreshing swim in our indoor pool and whirlpool or retire to our spacious two-room suites. 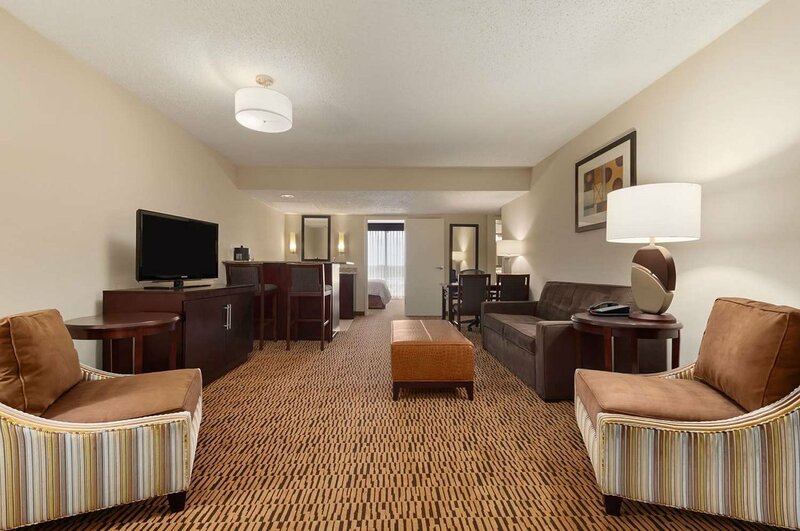 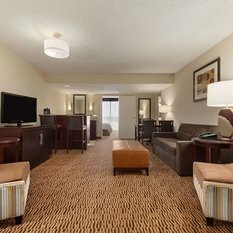 Our Dallas suite hotel provides WiFi access and room service.